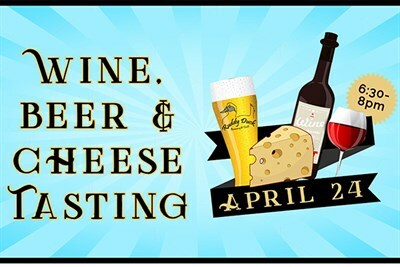 Join us for a complimentary tasting of Wine, Ruddy Duck Craft Beer, and Cheese. Hors d'oeuvres and select varietals are provided. Our wine representatives are bringing in a variety of different wines. Cheese is provided by Bowen Farmstead.